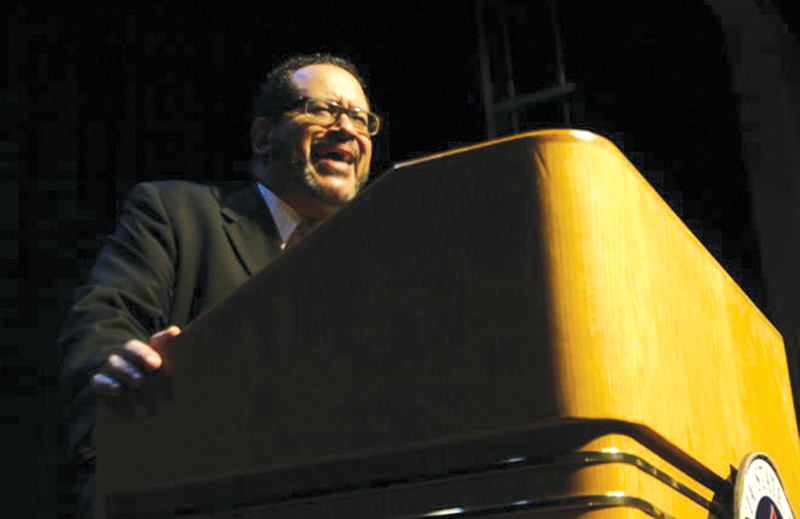 He was named by “Ebony Magazine” as one of the hundred most influential black Americans, is the author of 16 books, hosts his own radio show and on Sunday Georgetown University professor Michael Eric Dyson was at Fresno State speaking about the contemporary issues that impact the African-American Community. 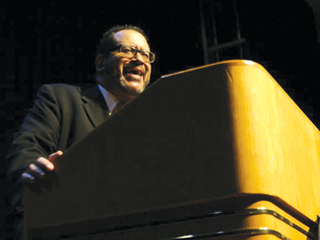 Dyson, an ordained Baptist minister, spoke to a near-capacity crowd at the Satellite Student Union for almost two hours in his self-titled “State of the Nation” speech. From gay health care to hip-hop, Dyson touched on a wide variety of issues. One issue that Dyson touched on was the problems with the public education system, which he said has more to do with the quality of the educators than with the system itself. “Let’s fix the problem at the root, so that the fruit can get better,” Dyson said. Dyson, a leading scholar on hip-hop music and self-proclaimed hip-hop fan, often broke out in rhyme. His latest book, “1968,” examines the life of the great civil rights leader. Prior to his tenure at Georgetown, Dyson was the Avalon Foundation Professor of the Humanities in the Department of Religious Studies at the University of Pennsylvania. He taught at DePaul University, Chicago Theological Seminary, the University of North Carolina, Columbia and Brown universities. At the end of his speech, Dyson took questions from the audience and that was followed by a book signing session where many took the opportunity to shake hands and take a picture with Dyson. Walton said the event was funded by the International Reading Association and planned by the Martin Luther King Jr. Scholarship Committee. Last year, the committee was able to get Pulitzer Prize winner and editor of the Washington Post Eugene Robinson to come speak and Walton said he is looking into someone for next year. “We are looking for someone who can appeal to the campus community as well as the greater Fresno community,” Walton said.